Don't Let the Team Down. Click for Help. As a team of teams, we want to support other veterans. 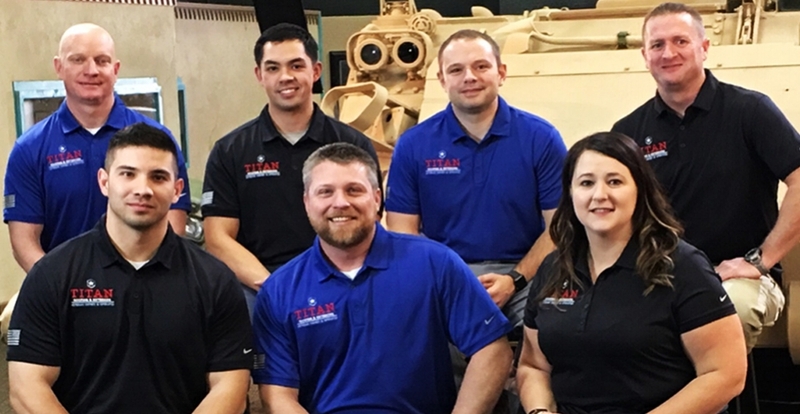 The Titan Project is a focused non-profit organization developed to help our brothers and sisters in arms. Less than 1% of America serves in the military; however, without their support, the rest of the country would not be able to enjoy the same degree of freedom and prosperity. We have three main lines of effort, which are nested and mutually supportive of one another. They all focus on enriching veterans' lives and honoring service, sacrifice, and commitment. 1. Titan Two-Six focuses on suicide prevention, awareness, and resiliency. The stronger we can make the bonds between service members through integrated support networks, the stronger veterans and their families will be. 2. Remembering the Fallen is established to provide scholarships, memorials, and support to offset the financial burden following a loss to continuously honor those who have made the ultimate sacrifice. 3. Helping Heroes builds on the dreams and talents of veterans and their families through entrepreneurship training, including financial awareness and networking.